This Nourison rug features a beautifully bordered medallion print embellished with graceful arabesques, flowers and flourishes in the traditional Persian style. 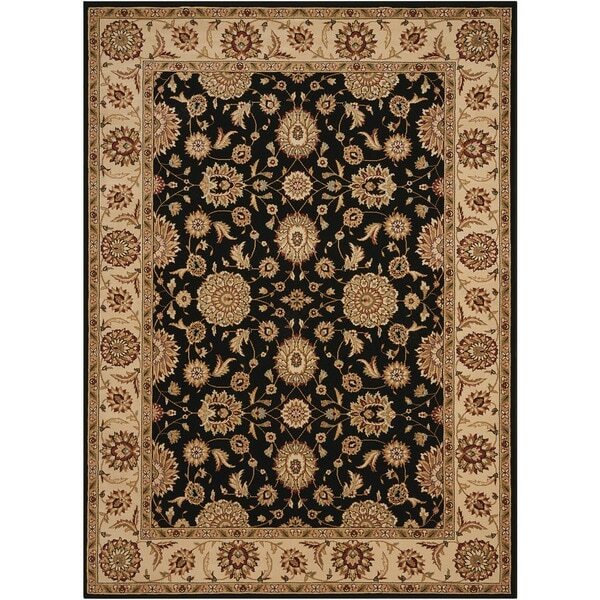 This rug is rendered in a wonderful color palette and fabricated from 100-percent polypropylene. "On your web site this rug is priced at $** you give the dimensions as one foot, period. I have seen this rug elsewhere and the dimensions are 1' 11" wide and 2'11" long. What are the exact dimensions of the $** rug that you are selling?" Hello garyw999, we do apologize for the error, this item is approximately 23 inches W x 35 inches L. Thank you for shopping with us.